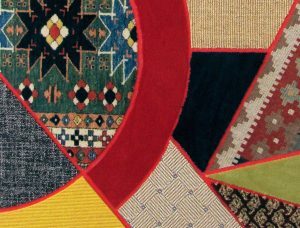 The subject of borders and transgressing borders is here not just addressed in terms of content, but also formally. The framework of this order are the rational and strict forms of Bauhaus/de Stijl. Nevin Aladağ stages the carpet, one usually passes on foot, vertically, as a pane that constitutes a space – that of the paravent or folding screen. 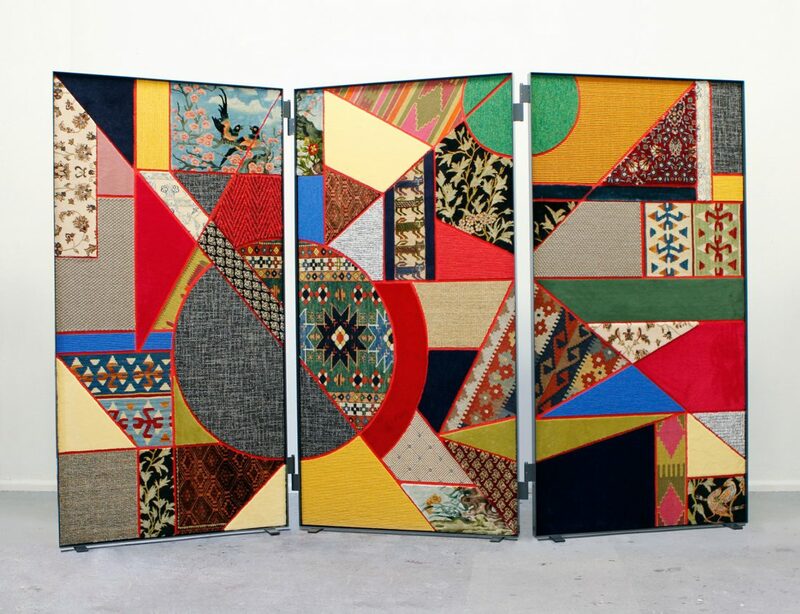 The folding screen serves as protection: originally as wind barrier in China; in western countries it protects the private and intimate from the gaze of strangers. 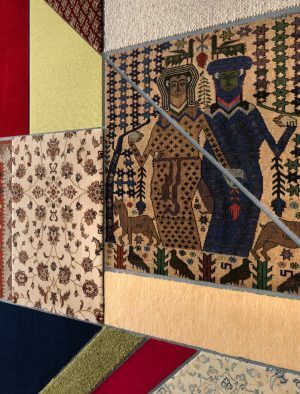 The initially horizontal form of the carpet is brought into a vertical position by the artist, thus blurring the categories of picture and sculpture and changing how they are read. 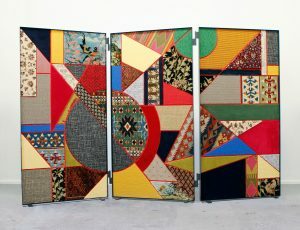 A top view becomes a horizontal view, and we can only read the entire image by walking through the individual motifs. 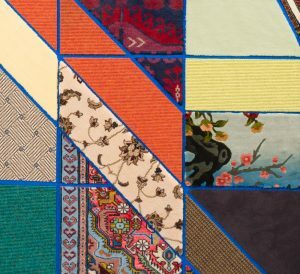 Aladağ here runs through the various connotations of ‘social fabric’: social spaces are constituted by social fabrics, i.e. the demographic, historical, and cultural segments that constitute the structure of a society. 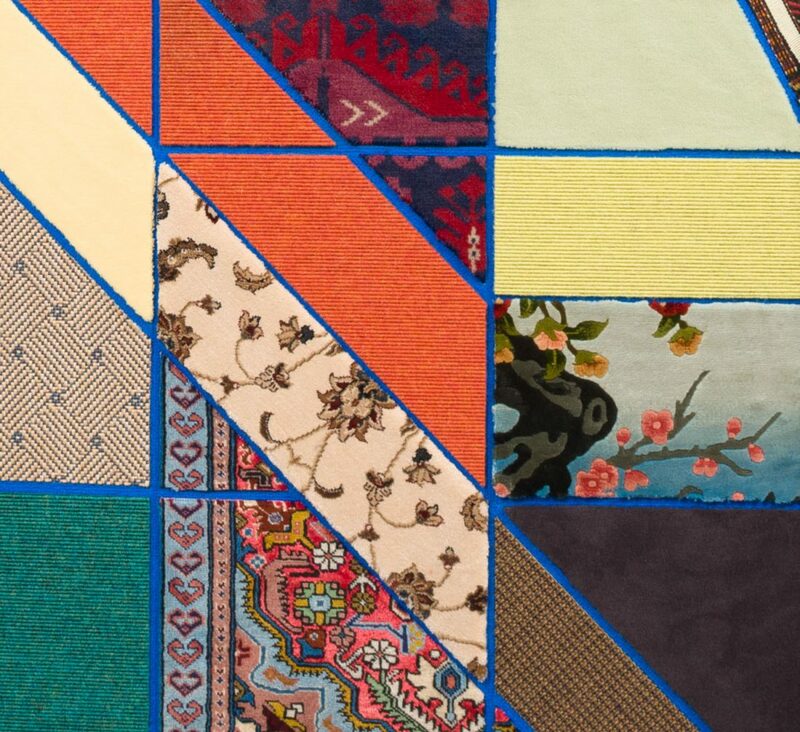 This form of social fabric manifests itself simultaneously in Aladağ’s objects in the very concrete fabric, the individual fibres from which the narratives are spun in every single carpet. 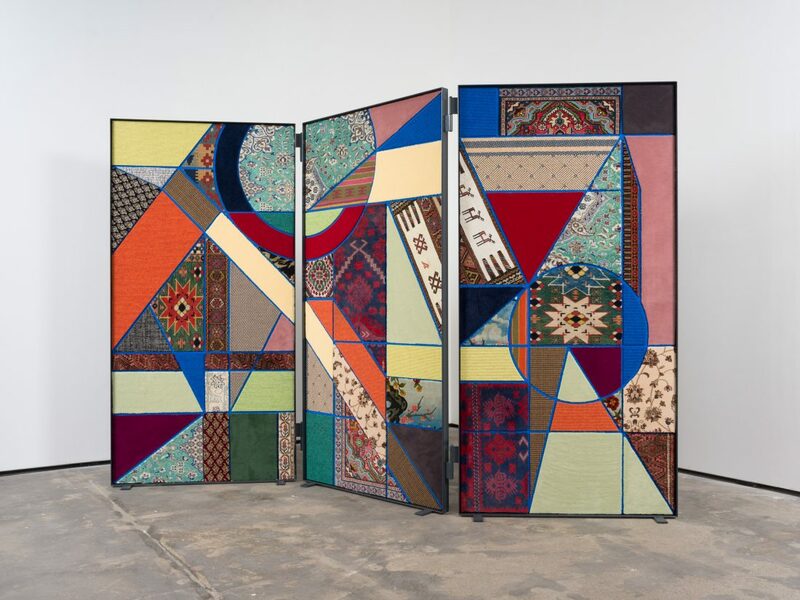 All segments of Aladağ’s object have a contemporary origin, even though formal references suggest various temporalities; questions about the concrete conditions of production, globalised trade, and post-colonial perspectives are thus introduced into the work as well. In her presentation, Aladağ yields to a democratic impulse – provenance and quality are subjected to the purely formal and aesthetic construction. 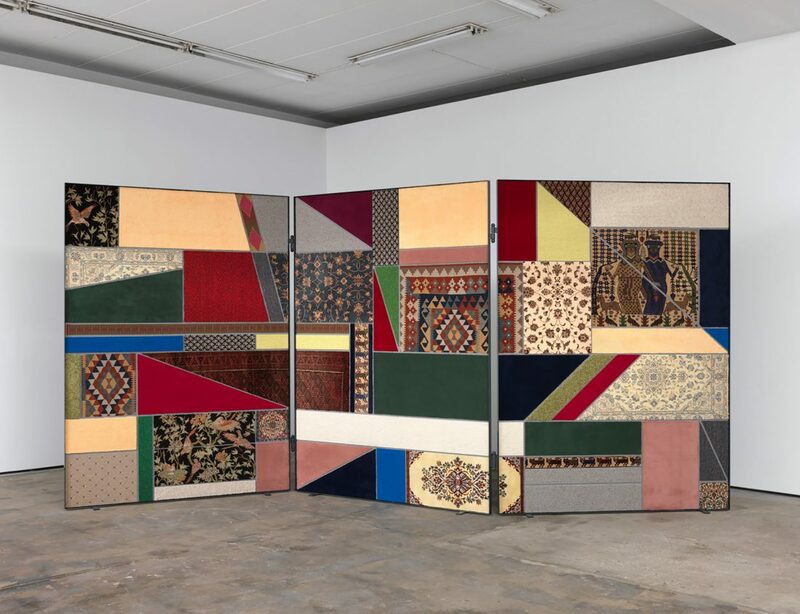 In Paravent, Social Fabric #1, the wall in front of us consists not just of various carpets, but rather of different foundations on which we build our idea of personal and social history.